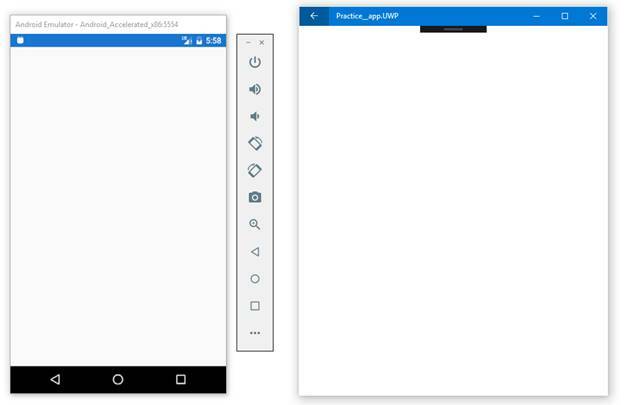 In this post I will show an example of navigation with output on Android and Windows desktop application, make your own Back button on Navigation Page, how to remove Navigation Bar, how to disable the device Back button, Navigation In Xamarin.Forms. If you are familiar with Xamarin.forms, you should be familiar with the concept that it is used to develop cross-platform mobile applications. 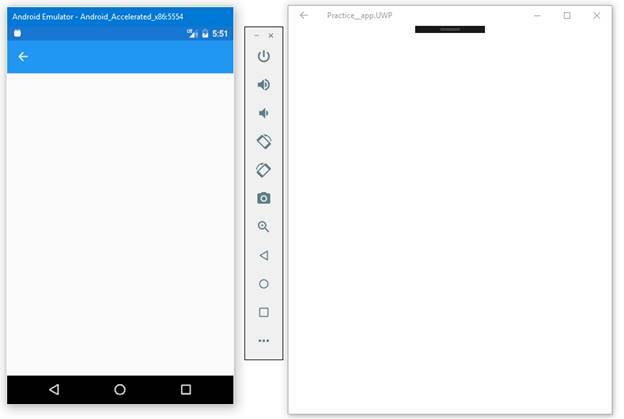 In this article, we will go through an example of navigation in Xamarin.forms. We will navigate from one page to another and also, will explore its properties to make the navigation better. Let's start our discussion with defining the Navigation Page. It is used to make navigation between pages, i.e., move from one page to another. Most of the mobile applications have more than one pages. So, you must use navigation page in your application to move from one page to another. Navigation page looks like the image below. Now, let's go through a simple example and navigate between two pages. Firstly, we have to make a simple View page. In this example, we will make a View page that contains a button to move towards the next page. And on its click-event handler, the code looks like the following. "NextPage" is the name of second page declared in this application. In this application, you have to make two pages - Main page and Second page. 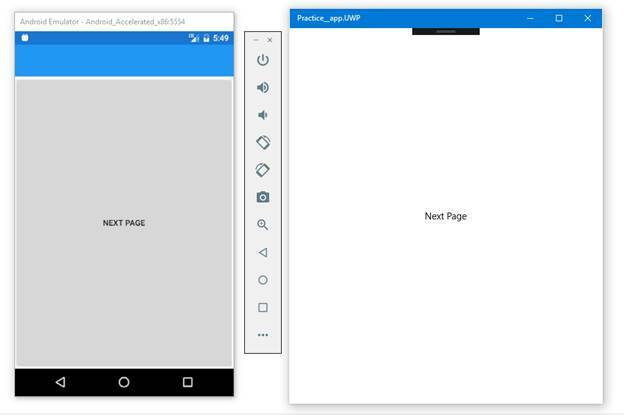 Go to App.xaml.cs and after InitializeComponent(); you have to declare your navigation page like this. And by clicking on the "Next Page" button, you are navigated to the next page. What if you want to set your own Back button on Next Page? Make a button on next page and set its Click event. For this purpose, we will use PopAsync() method. The next page is shown with a bar on the top. That contains Back button. This bar is also shown on your Main page. This is the default behavior of application. But, what if you want to hide that bar? This is used to remove the navigation bar from your page. Use this code on the specific page to remove its navigation bar and the XAML looks like below. Here we go. No navigation bar is displayed on your next page. But wait! There’s another problem; user can move to previous page by using back button on Android phone or by using back button displaying on the top of Windows desktop application. If you want the users to not to go on the previous page again, use the following code to disable back button. For this purpose, you have to override OnBackButtonPressed() method on your NextPage.xaml.cs file. After overriding this function now, your user will not move to the previous page by using the back button on the device.